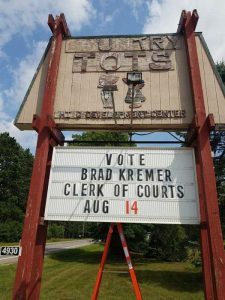 Area citizens send in support for Brad Kremer for Clerk of Courts. Brad Kremer is running for the Wood County Clerk of Courts seat, which is currently held by Cindy Joosten. Cindy has been in office since 1998. Both candidates are running as republicans and the election will be decided with the primary election on Tuesday, August 14th. I am writing to encourage you to support Brad Kremer for Wood County Clerk of Courts. Brad has an excellent resume that proves he is the right person to lead the Clerk of Courts office to a brighter future. His emphasis on being a servant leader and strong commitment to customer service will bring refreshing change to the Wood County Courthouse. If you are ready for positive change please join me in voting Brad Kremer on August 14th. I am voting for Brad Kremer for Wood County Clerk of Court in the upcoming August 14 primary election. I have witnessed Brad’s work ethic, passion for this community and his organizational skills in his role as President of the School at Altenburg’s Farm Board. His skills operating a successful family farm will also be critical in managing the finances and the day-to-day operations of the Clerk of Courts department. Brad’s focus is on serving others. He is a U.S. Marine Corps Veteran and a former Wood County Board Supervisor. His care, concern and compassion for others will be invaluable working with people from various backgrounds and experiences. 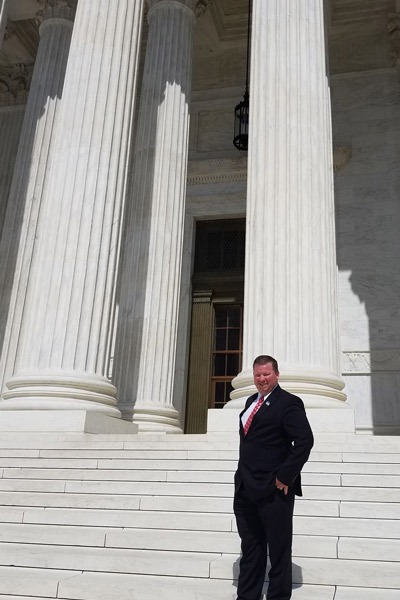 Brad will bring a new level of energy, commitment and an increased amount of time spent “on the job” and at the courthouse. To be a difference maker, one must be present, engaged and build relationships. Vote Brad Kremer August 14. Please join me and vote for Brad Kremer, Clerk of Courts, on August 14th. Brad is committed to hard work and accountability. He will bring great passion and extraordinary teamwork to the courthouse. I look forward to Brad’s business leadership and bringing a business mentality to Wood County courts. I am writing to remind everyone to please get out and vote on August 14th, it is a great opportunity for you to provide feedback to those that represent you. I want to highlight one person in particular that you should consider voting for, Brad Kremer. The one thing that has stood out about his candidacy is that it isn’t about him but rather the people of Wood County. He talks about servant leadership, integrity, transparency and fiscal accountability. Brad has always had a strong commitment to service which began at a young age when he volunteered to enlist in the United States Marine Corps. He continues to talk about his desire to serve the people of Wood County as your next Clerk of Courts. Please consider voting for a fresh face that is committed to the people of Wood County. Please vote Brad Kremer for Wood County Clerk of Courts. OnFocus: Brad why are you running for the Clerk of Courts for Wood County? Mr. Kremer: Accountable. Transparent. Efficient government. Accountable work ethic, lead by example, hold our elected to high standard, show up to do the job.